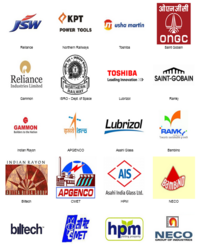 Established in the year 2000, 'RMS Industries' is a dignified business enterprise engaged in manufacturing, supplying, exporting, of Material Handling Equipment like Chain Pulley Blocks, Cranes, Cross Traveling Trolley, Electric Chain Hoist, Electric Wire Rope Hoist, Goods Lift etc. As a sole proprietorship firm, we have formulated client-centric policies that are much admired by our patrons. Owing to our excellent manufacturing capabilities, we have been carrying large scale & hassle free production. All the equipment and machines that accelerate the production process are fitted in our production unit. By introducing innovation in terms of working styles, production methods, product line and technologies, we are able to maintain our consistent performance. Our mentor 'Mr. R K Agarwal' has helped the company in establishing a strong foothold in the market. He organizes regular sessions for the team members so as to keep them abreast of prevailing market trends. 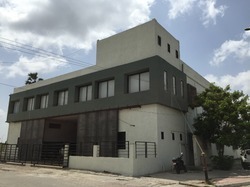 THE SURAT PEOPLE'S CO-OP. BANK LTD.
Our manufacturing unit is well organized and facilitated with modern machines and unit. It is supported by an in-house design unit where our engineers rack their brains to come up with innovative designs for Material Handling Equipment. These practical and application based designs are commended by our customers. The technologies that we use in the manufacturing unit are advanced and help in manufacturing precise equipment. We also ensure periodic upgradation, which enable us in making use of high-end technologies and discarding outdated ones. Apart from an advanced production unit, we have some other departments like Quality Testing and Research & Development. The organizational commitment made by our team, is symbolic of its dedicated nature. We have purposely created a teamwork environment that helps in streamlining the business activities. Our team members are proactive and prepared to take challenges in every sphere. Also, the training sessions and workshops organized by the organization, aims at keeping the professionals aware with the changing trends. For giving undivided attention to the research related activities, we have developed a separate R & D unit, headed by experts. These experts conduct rigorous surveys & researches and compiles the report of the same in an organized manner. These report contain all the relevant findings that helps us in augmenting the business operations. Moreover, modern technologies are optimally utilized for keeping an eagle's eye on the market. To get extensive details of the market, all the other departments keep on communicating with the R & D department. What Makes Us Distinct From The Others? In every deal that we have made with the clients, we have adhered to high principles of professionalism. Our aim has been to expand the product line and client base through ethical means of business. We have never indulged in making false commitments to the customers and hence have some of the reckoned business entities in the list of our clients.